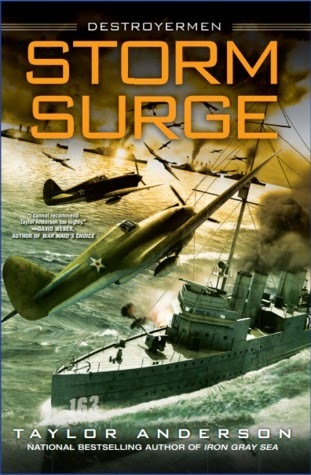 Storm Surge by Taylor Anderson, the eighth novel in the Destroyermen series. 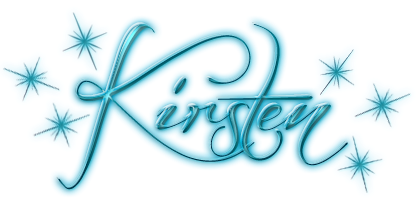 The basic premise is that a WWII destroyer goes through a vortex and winds up in an alternate dimension, where Earth is very different. In this world, primates didn’t evolve to come out on top. Instead Grik, which are much like dinosaurs and other creatures took the lead. Darwin’s head would spin and by this point in the series, so do the characters, sometimes a little too much like a hamster on a wheel, going nowhere. This isn’t down to weak writing, in fact, the issue is that there are so many interesting characters that at times it feels as if they are literally hopping from one setting, continent and storyline to the next. Even when it’s done by a good writer, this doesn’t make it easy to keep up with them, or even to form a real attachment to any of them. While it wouldn’t be much help for there to be a mass removal of characters through some disaster, this is one aspect of the series that does need to be resolved in future works. In terms of the worldbuilding, the author has considered culture, clothing, music and how the issue of species might have an effect on all aspects of life. It’s clearly been well thought out and gives one thought about the various implications. The story places the Alliance in a position of trying to rebuild and modify their weaponry, vessels and also give main characters an opportunity to recuperate from the last battle. Of course, when so many are besieged, this is no easy thing and while there are secret plans afoot, nothing is moving fast enough for the main characters. Lieutenant Commander Matthew Reddy of the USS Walker has a scheme, the Second Fleet and Jenks are eager to attack the Dominion. Meanwhile, Kurokawa continues to influence the Grik and Kari and Fred are running from the Dominion and barely staying one step ahead. Anyone who enjoys alternative takes on history, science fiction, or military fiction will find this a good blend of all three, and so long as the author deals with excess characters soon, it will continue to be a strong series.